55-Year-Old Woman Dead After House Fire in Conn.
A woman is dead after a house fire in Windham Monday morning. A woman has died after a house fire in Windham on Monday morning. Police have identified the victim as 62-year-old Cynthia LaFontaine, who lived in the home on Bass Road. “The person was found inside the building, removed from the building and sent to Windham Hospital in the Willimantic Ambulance with the Windham Hospital paramedics on board. She was pronounced dead at the hospital,” said Windham Center Fire Department Public Information Officer Susan Herrick. Fire officials said the fire started in the east portion of the home on Bass Road. Crews from North Windham and South Windham fire departments helped knock down the fire quickly, according to firefighters. The cause of the fire is under investigation by the state fire marshal's office. 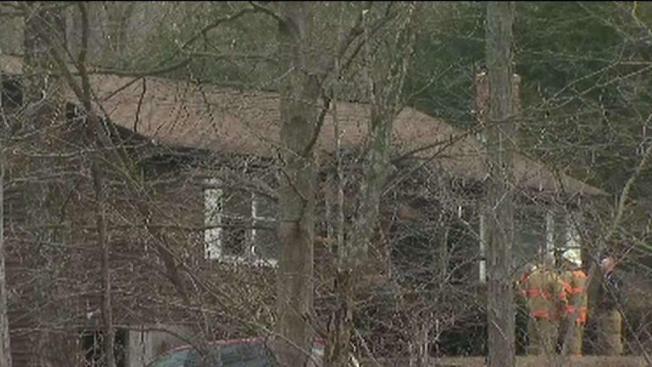 Connecticut State Police Troop K, the State Police Fire and Explosion Unit, Eastern District Major Crime unit and Windham Fire Marshal's office are all involved in the investigation.